everything but the border. Others promised to finish soon! As usual, we were pampered with wonderful lunches complete with a little bubbly for refreshment!! 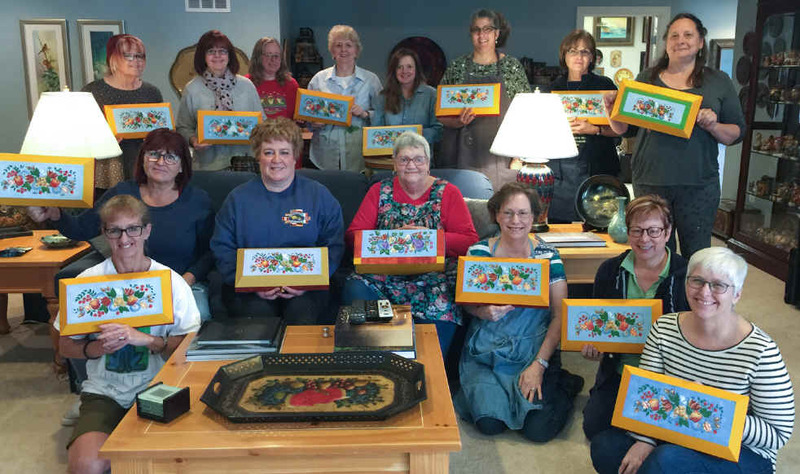 God bless all of you ladies and I hope to see you all again one of these days at The Pampered Palette for another fun painting time!